Thank you to a reader of my blog, whose great-grandfather, Rudolph Hermes, was superintendent gardener at Hurstmont when James Tolman Pyle owned it. Below are a few pictures that he shared with me. The first two are mounted photographs that he found in his father's home. 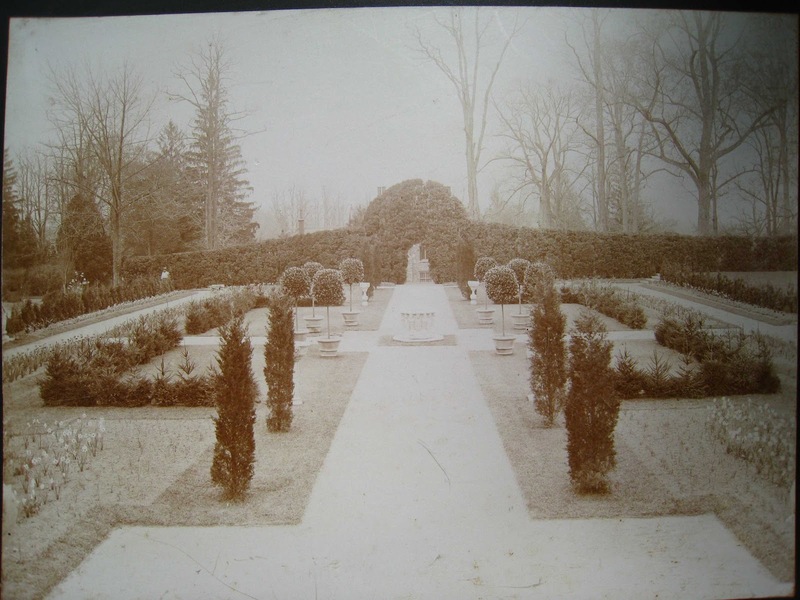 Another view of the gardens. 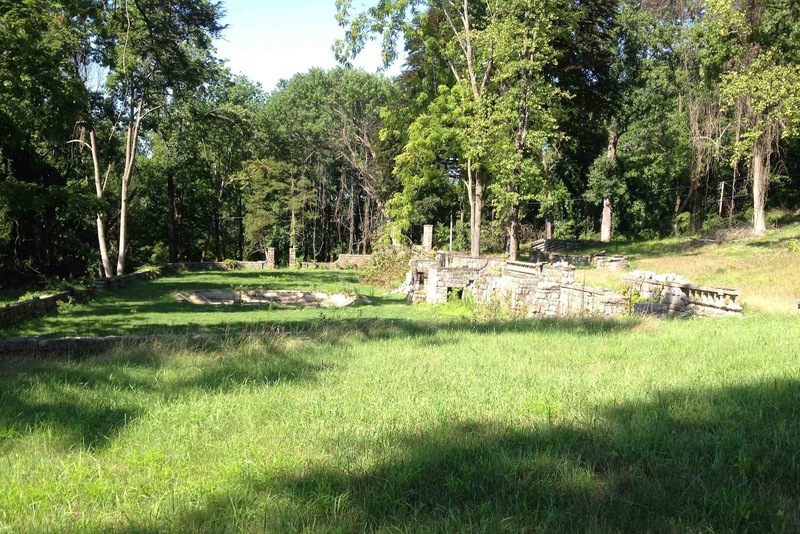 At the far right is the house. 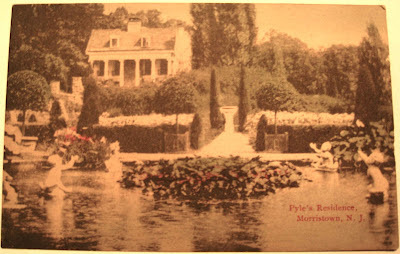 A postcard of "Pyle's Residence, Morristown, N.J."
You can see more pictures and a description of the home in 1907 in the June 1907 issue of American Homes and Gardens, which is found at Google Books, searching for American Homes and Gardens Hurstmont. For comparison, following is a snapshot I took this past summer of what was one of the gardens. And when I turned around, this is a snapshot I took of the house. 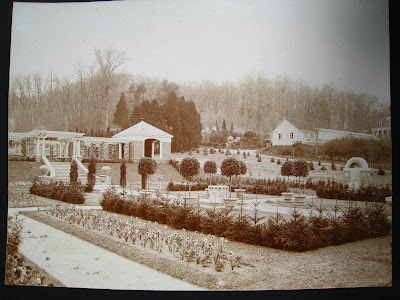 I bet both house and garden were just beautiful, of course I'm sorry to see the shape of the garden now. Elizabeth, who owns the property now, is it still in the Pyle family? 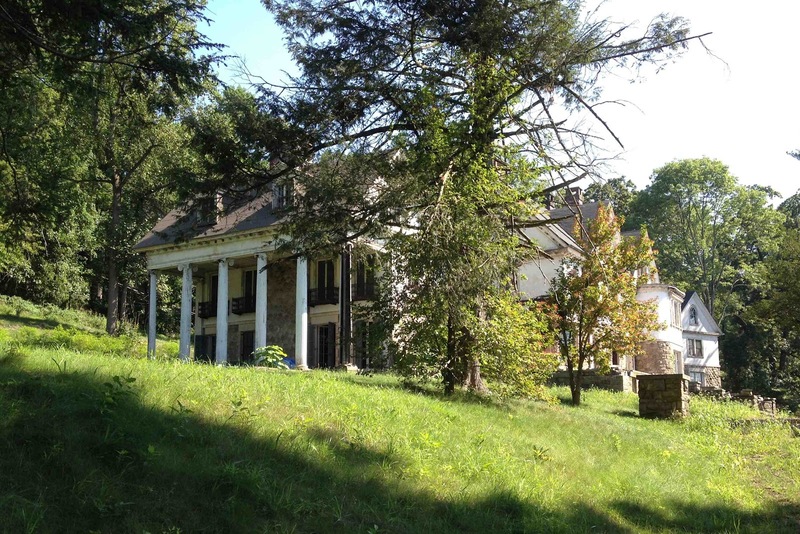 Glen Alpin, Harding Township, New Jersey for more about this property. Thanks Elizabeth, I went to the site and read it. I guess that's what happens when people can't afford the upkeep. Too bad. I was also thinking how tragic to see the home and garden in such disrepair. Boo. The architect who has purchased the property is doing his best to figure out how to save the building without losing his shirt - he really loves the architecture and history, but it's hard for him to figure out how work with the local community to do this economically. I pass these two houses all the time. When I was little, I always wondered what they looked like inside, specifically Hurstmont because it was abandoned (or looked that way from the road). When originally choosing a major for college I was deciding between Music Education and Architecture. I ended up choosing music education because I could influence student more. But my passion for architecture remains. Hurstmont is what first got me interested in architecture. All my life I've wanted to get the chance to tour the property as it is now. Even better would be to get the chance to see the inside in its current state, but odds are it is dangerous. Anyway, I wanted to say this blog was excellent. I hope one day I can see this house up close. We actually got to see some of the inside in the summer of 2010 and yes, parts were in such bad shape that they weren't safe so we could only see some of the house. As I noted above, there is an architect who has purchased the property and is trying to save the house.